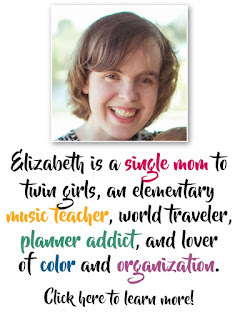 Although I use music from a variety of cultures and traditions regularly in all grade levels throughout the school year, I spend about a month focusing on the music from a particular culture in each grade. Over the last few weeks, I've been sharing my lesson ideas for each of those countries. Today's focus: Maori culture- the native people of New Zealand! You'll find links to all the other countries / cultures I've written about at the end of this post, so be sure to read to the end! I study Maori music with my second grade students. It is a great way to get students more comfortable with triple meter (3/4 time) and introduce dotted half notes, the lyrics to the songs we learn are repetitive and easy to pronounce, and I can reinforce musical forms like A and B sections, verse/refrain, and/or call and response. First of all, if you aren't familiar with the Maori people, they are a native people group from modern New Zealand. My first real introduction to their culture came through the movie "Whale Rider". I wouldn't recommend a complete viewing with an elementary class (although a short excerpt may be appropriate and a great way to introduce or close out a unit), but if you are personally interested in getting a better sense of the culture, the people, their history, and the place of dance and music in their lives, I would highly recommend it. I definitely get some giggles and grimaces when we first start the video, but as the level of difficulty escalates and they see the sticks flying through the air, the faces are quickly replaced by gasps of delight and awe! To teach a simplified version of the song and stick game, I first have students learn the one-line refrain from the song: "E hine hoki maira". Then I teach the students the first stick pattern with their hands by having them pat their legs on beat 1, clap their hands together on beat 2, and put both hands out (as if to clap a partner's hands) on beat 3. We then listen to the following recording of the song while we clap the pattern on the first verse and then stop and sing the refrain. 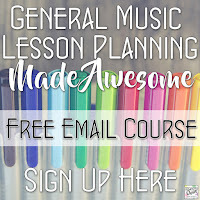 For older students you could certainly use the video to help students learn and sing along with the rest of the song as well. Next I split the class up into pairs and they sit on the floor facing each other to practice doing the same clapping pattern with a partner (patting the floor next to their legs instead of on their legs on beat 1, and clapping each other's hands on beat 3). Once they can do that with the music, pausing to sing the refrain, we learn the clapping pattern for the second verse: pat the floor on beat 1, cross to clap partner's right hand with your right hand on beat 2, left hands on beat 3. We practice until students can do the first clapping pattern on verse 1, sing the refrain, then do the second clapping pattern on verse 2 and sing the refrain. This is when I bring out the sticks. I have lummi sticks in my classroom that are plain wood (not painted colors), so we use those. I have students hold them as close to the bottom of the stick as possible, and when they tap the floor they tap the bottom of the stick on the floor (holding the stick straight). Once they are able to do the 2 verses with the sticks, I have students invent their own 3-beat pattern with their partner for verse 3. Most students are eager to include some form of passing their sticks to each other after seeing it in the initial video. My only rule is that they are not allowed to throw the sticks, so they usually end up setting them in each other's laps or on the floor for the other person to pick up, or just using one pair to pass back and forth. This is a great way to assess which students are getting the 3/4 feel and which are stick stuck in duple meter- there are always a number of groups that either pause between each set of 3 beats (to add a fourth beat) or create a pattern that is 4 beats long! With my second graders I want to really focus on triple meter, but in the past I have also used the song "Epo I Tai Tai E" with some of my older students to do a tititorea game that is great for teaching or reinforcing the "syncopa" (eighth quarter eighth) rhythm pattern. For many Western music educators this song is one of the few Maori songs that we use in our standard repertoire- I stopped using it because the meaning of the lyrics is quite vulgar, and I would encourage other teachers to think carefully before using this song. You can read about the translation and background on this song here. The song, "Hine E Hine" is also great for teaching whole notes. You can find the lyrics, translation, notated melody, and sound recording of this Maori folk song here on Mama Lisa's website. Along with the song, poi balls are a great way to practice whole notes as well- I have had students do the "helicopter" movement with the poi on the whole notes (basically swinging them in a circle to the side). There are instructions for making your own poi, and links to websites with more information on the subject, in this post from Instructables. You can see an example of traditional poi dancing in the first video at the top of this post, right after the tititorea stick performance. That's everything I teach for music from the Maori culture. 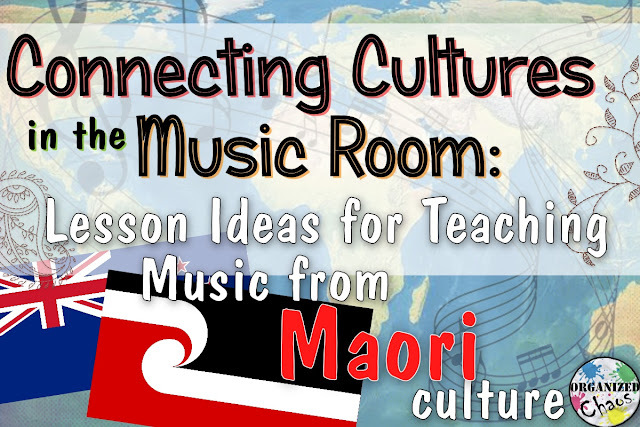 Do you teach Maori music in your class? I'd love to see any additional ideas and resources you have in the comments below! Thanks for these blog posts on World Music- I find these very helpful. I haven't been able to start my unit yet, but when I do, I'll be checking your blog! Tititorea is so much fun and so easy to incorporate in most general music rooms! I love it. I am curious about the translation for "Epo I Tai Tai E" I have been unable to find a concrete translation. I would love to use that song, and my students probably wouldn't push hard about the translation, but I would like to know for my sake! Here is an explanation- like many non-English songs that have become part of US American music education rep, it has been taken out of context: http://www.folksong.org.nz/he_puru/index.html I would really encourage you to think about the purpose of using the song- if you're looking for a song to teach "syncopa", "bump up tomato" is awesome!